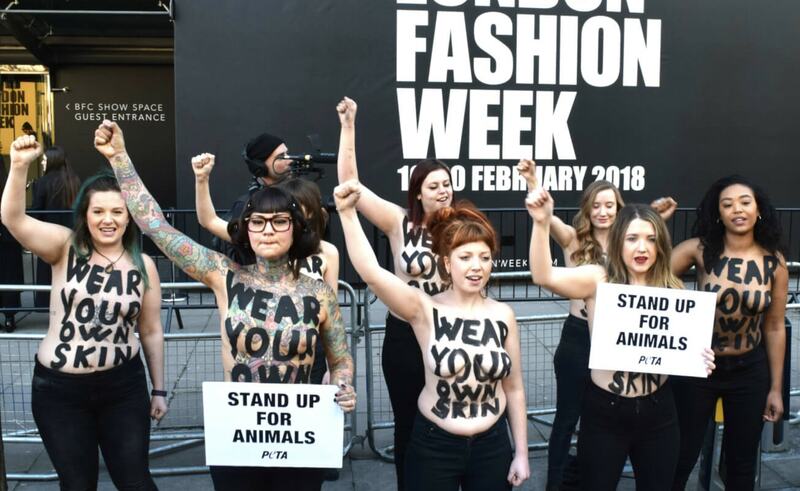 Animal rights activists have protested against fur at London Fashion Week. 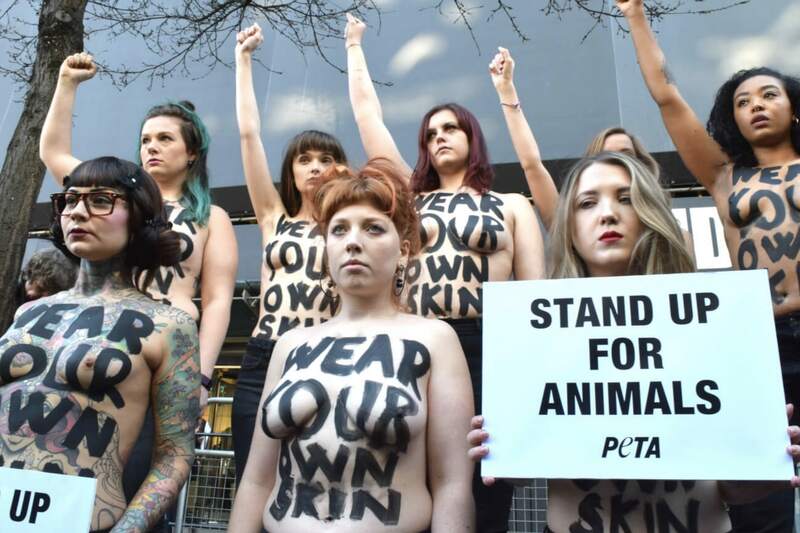 The campaigners - representing animal rights charity PETA - painted the slogan 'wear your own skin' across their bare chests. They encouraged passers-by to stand up for animals by leaving fur, leather, shearling, and other animal-derived materials out of their wardrobes. Activist Charlotte Bone, (pictured far left), said: "Whether it’s the fur of a frightened fox or angora rabbit or the skin of a gentle calf, it’s not fabric and it’s not ours for the taking. According to PETA: "On fur farms, minks, foxes, and other animals spend their entire lives confined to tiny, filthy cages before finally being killed by poisoning, gassing, electrocution, or neck-breaking. "Cows destined to be slaughtered for leather endure painful mutilations, branding, tail-docking, and dehorning without painkillers. "In shearing sheds, sheep are cut, kicked, punched, and sometimes killed by impatient workers."